With age, our skin loses the ability to produce the required amount of collagen and elastin in order to retain the skin’s elasticity and firmness. Your muscles in the face and around the neck start showing the first signs of aging, with the appearance of fine lines and wrinkles. You can help your body produce more collagen around your face by using products that have a high amount of antioxidants and skin repairing ingredients. This will help your skin bounce back and get firmer and look younger. We give you here our pick of the best facial firming creams in India which will help you get a younger looking skin. Before we take a look at the best facial firming creams, remember that it is essential for you to use sunscreen every single day since the sun is one of the important causes of the loss of elastin and collagen in the body. Also focus on getting a balanced diet that will help your skin renew. 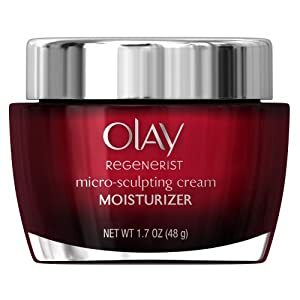 The Olay Regenerist Micro Sculpting Cream has a high concentration of amino peptide complex that helps in removing upto 4 years worth of wrinkles and fine lines. It provides intracellular hydration and boosts your skin’s brightness. The creamy formula blends deep into your skin to give you a firmer and tighter skin and a more youthful look. It is priced at Rs. 1499 for 50 g.
The Lakme Youth Infinity Skin Firming Serum helps you keep your 20s sculpted look intact. It is infused with Insta Collagen Boosters that penetrate deep into your skin and give you younger and firmer looking skin. The AHAs in it exfoliate the dead cells while the glycerin restores moisture. It is priced at Rs. 899 for 30 ml. 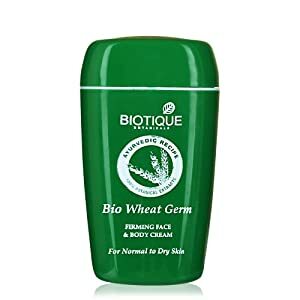 The Biotique Bio Wheat Germ Firming Cream comes with an organic blend of pure wheat germ, sunflower and almond oil and carrot extracts. The wheat germ hydrates the skin and provides lasting moisture. The ingredients enhance cell growth and boost collagen production resulting in firmer skin. The antioxidants in it help in making your skin radiant. It is priced at Rs. 199 for 55g. 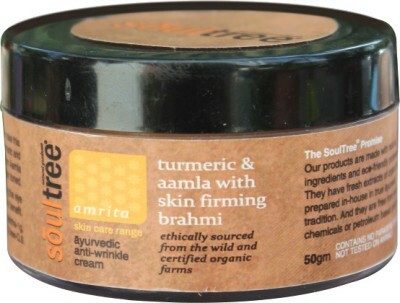 This Soul Tree Cream is an Ayurvedic formulation enriched with turmeric, amla and brahmi. Turmeric has skin rejuvenating properties while the amla and brahmi are rich in antioxidants that reduce fine lines and keep the skin well toned. For best results, it is to be used at night after removing all your make up. It is priced at Rs. 350 for 50g. The Kaya Revive and Firm lotion contains turmeric extracts and vitamin E. It is non-comedogenic and helps in rejuvenating the skin. The light weight lotion relaxes facial muscles, removes dead cells and firms up your facial skin. It is priced at Rs. 800 for 50 ml. The Body Shop Pomegranate Serum addresses the signs of aging by giving it a temporary lifting effect. It is to be used as a pre-moisturizer. The serum is rich in antioxidants from pomegranate and helps in making the skin softer and firmer, giving it a youthful appearance. It is priced at Rs. 2095 for 30 ml. The L’Oreal Revitalift Anti Wrinkle and Firming Night Cream is enriched with elastin which improves the skin’s texture and elasticity. It reduces the appearance of fine lines. Massage it onto cleansed skin every night to tone up your facial muscles and to get younger looking skin. It is priced at Rs. 799 for 50 ml.